I’m thrilled to be working with Flexicurve dance company, creating a projection component for six dancers utilizing camera, computer, and a very large piece of black scrim, as part of the WestFest Dance Festival. 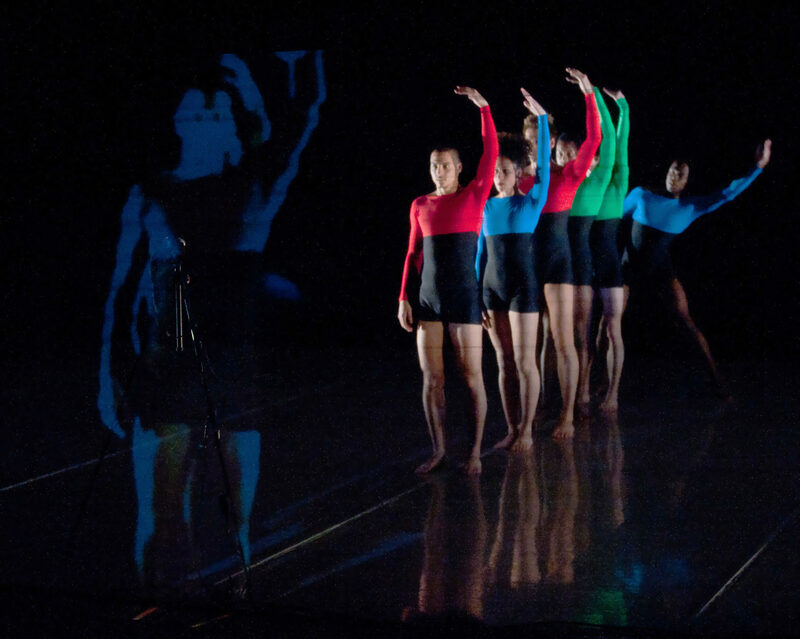 “RedBlueGreen” involves recording and delaying movement over time, projected to appear, “floating” on the dancers, set to the track, “Videotape” by Radiohead. There’s two dates for this show: Thursday and Saturday evening; part of the four day Westfest Dance festival in the Cunningham Theater.